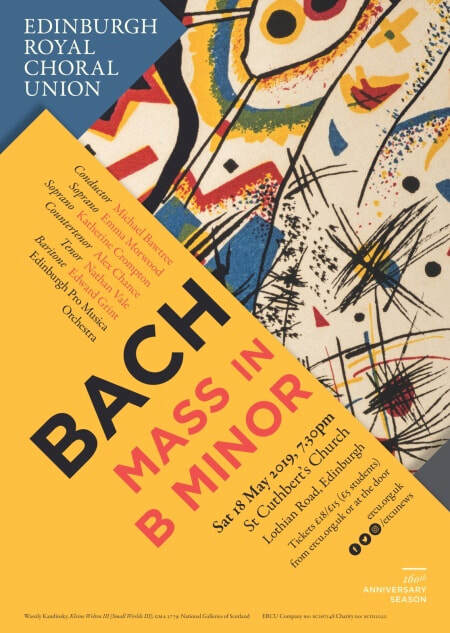 Edinburgh Royal Choral Union - A leading choir in Edinburgh - Edinburgh Royal Choral Union - One of Scotland's leading choirs. 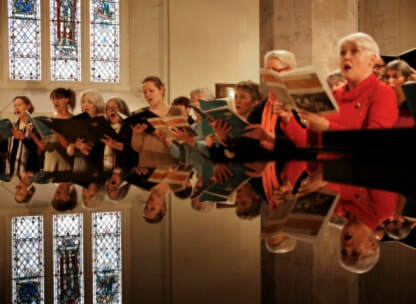 We welcome new singers in all voice parts who would like to join the choir. ​Rehearsals for our new season begin in September in central Edinburgh. New singers are invited to come along and join us for two or three rehearsals before auditioning with our musical director Michael Bawtree. 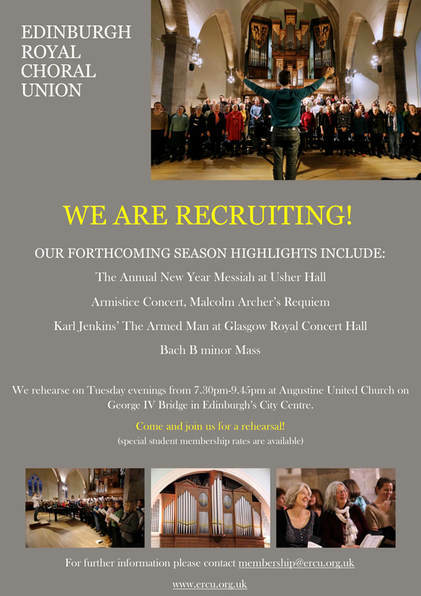 Please contact membership@ercu.org.uk if you would like more details.